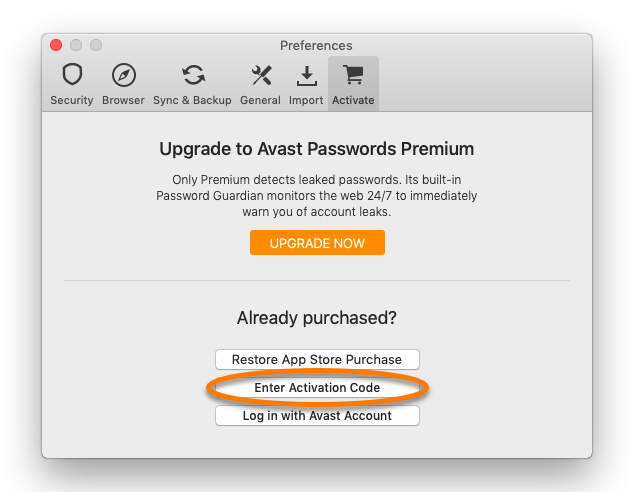 After purchasing the paid version of Avast Passwords for Mac, you need to activate the product using either a valid activation code (sometimes called a subscription code or voucher code), or via your Avast Account that is registered with the same email address you used to make the purchase. 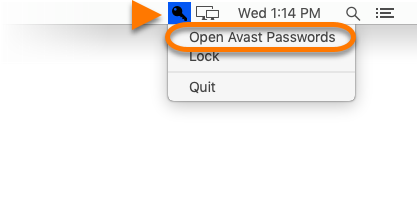 Click the Avast Passwords icon in your menu bar and select Open Avast Passwords. 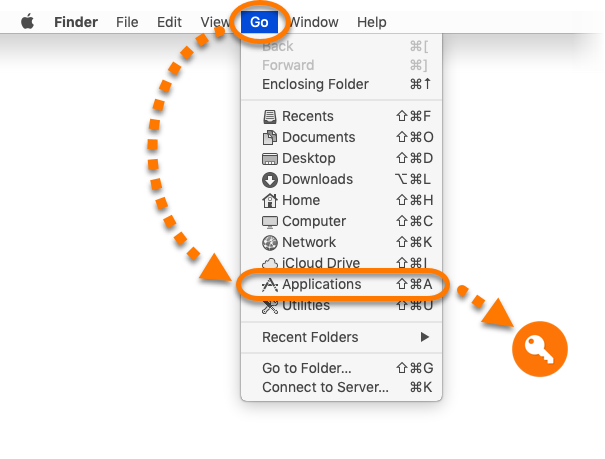 Click Go in the menu bar and select Applications, then double-click the Avast Passwords icon. 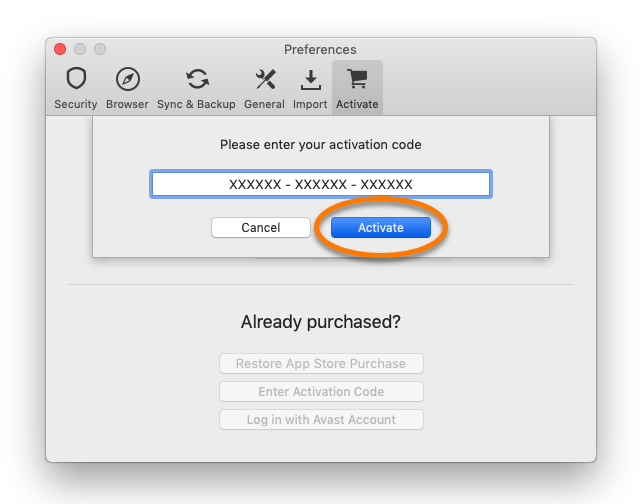 Type or paste your activation code into the text box and click Activate. Your Avast Passwords subscription is now activated. 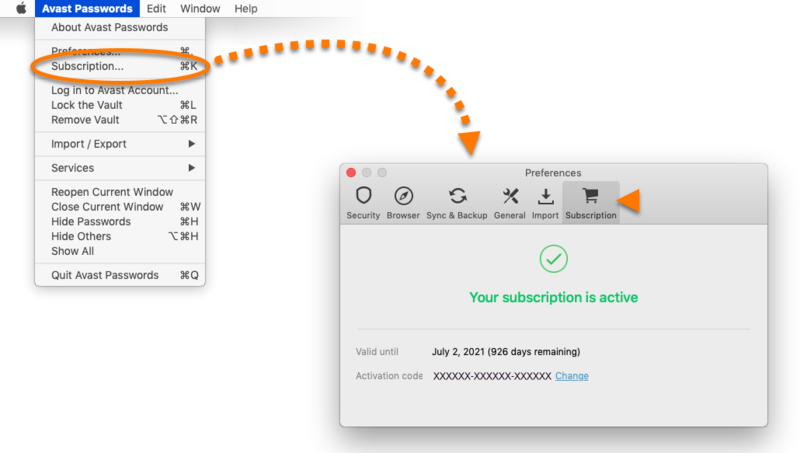 The expiration date of your subscription appears under Subscription. 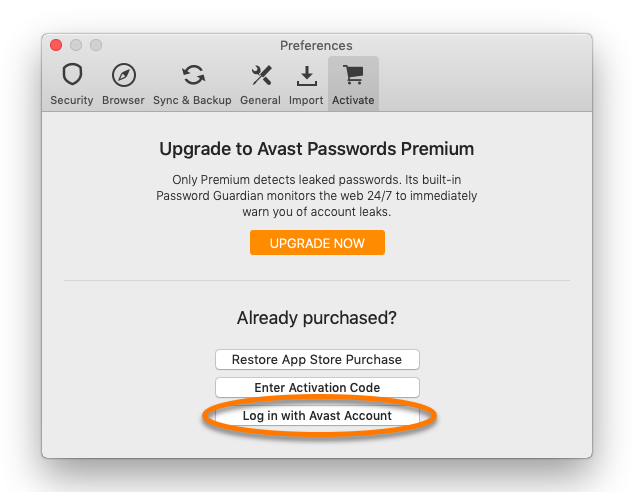 All your Avast subscriptions automatically appear in the Avast Account registered with the same email address you used to make the purchase. 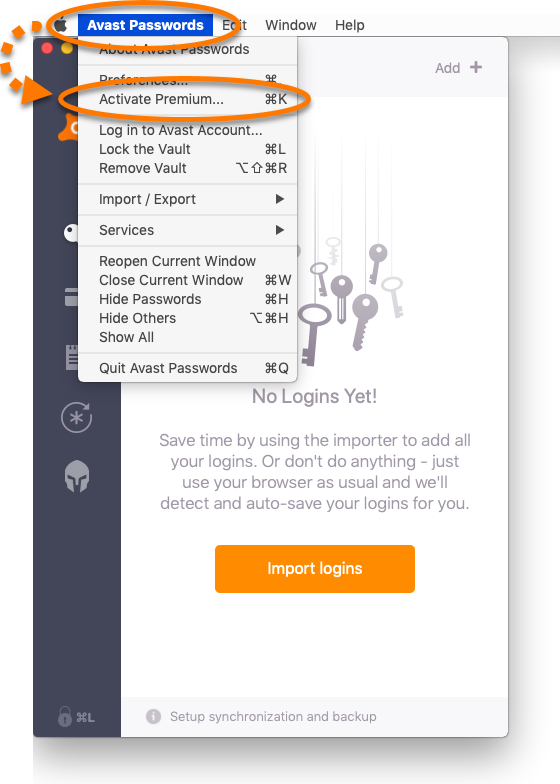 Click Log in with Avast Account. 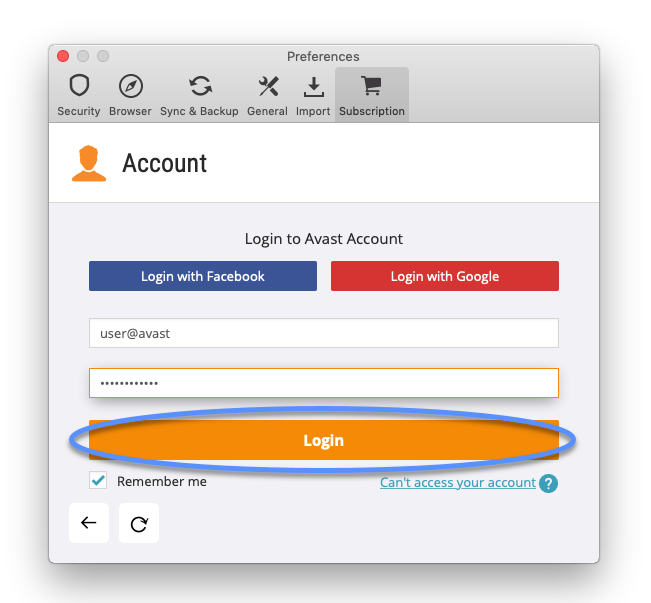 Enter your Avast Account credentials and click Login.